You are currently viewing Archived reports for the week of 3 October-9 October 2012. 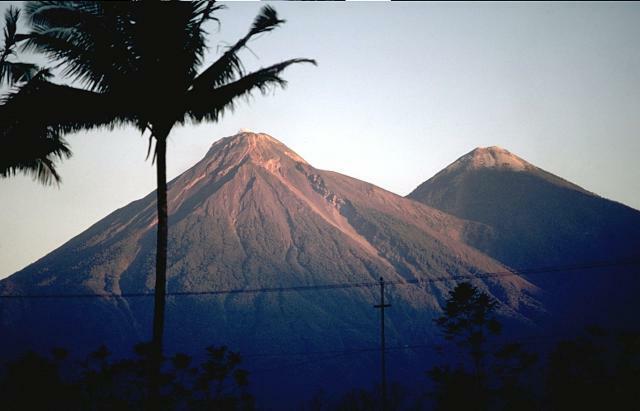 INSIVUMEH reported that on 3 October a hot lahar descended Fuego's Ceniza drainage (SSW), carrying logs, branches, and blocks. During 4-5 October explosions ejected incandescent tephra 75-150 m above the crater, producing ash plumes that rose 600-900 m and drifted 10 km N and NW. Explosions generated shock waves and vibrated houses in local communities. Avalanches descended the Ceniza and Taniluyá drainages (SSW). On 7 October the seismic network detected increased activity characterized by tremor, low-frequency earthquakes, and a period of constant explosions. Rumbling was heard and shock waves were detected. Ashfall was reported in Panimache I and II (8 KM SW), Morelia (9 km SW), and Santa Sofia (12 km SW). Incandescent block avalanches originating from the crater descended the flanks. During 7-8 October explosions ejected incandescent tephra 75-150 m above the crater, and generated ash plumes that drifted 10 km S and SW. On 8 October a lava flow traveled 100 m down the Ceniza drainage, producing incandescent block avalanches from the flow front. Avalanches descended the Taniluyá drainage. Ashfall was reported in Panimache I and II, Morelia, and Asunción. According to the Darwin VAAC, CVGHM reported that on 6 October an ash plume from Lokon-Empung rose to an altitude of 3.7 km (12,000 ft) a.s.l. ; the plume altitude was determined by wind data. A thermal anomaly was detected in satellite imagery. According to a news article, an eruption at 1405 on 7 October ejected incandescent tephra as high as 350 m above the crater and generated an ash plume that rose 1.5 km. 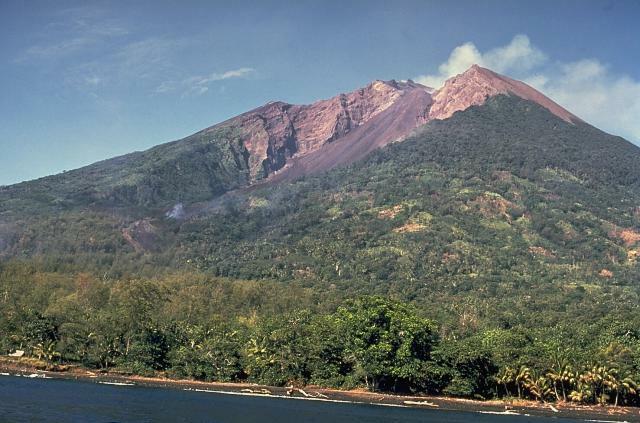 The article also noted that Lokon-Empung had erupted 41 times in September and three times on 5 October. Based on seismic data and visual observations, CVGHM raised the Alert Level for Paluweh (also known as Rokatenda) from 1 to 2 (on a scale of 1-4) on 8 October. Based on a pilot observation, the Tokyo VAAC reported that on 3 October an ash plume from Suwanose-jima drifted SW at altitude of 3 km (10,000 ft) a.s.l. CVGHM reported that during 1 September-3 October diffuse white plumes from Tengger Caldera's Bromo cone rose 50 m above the crater. 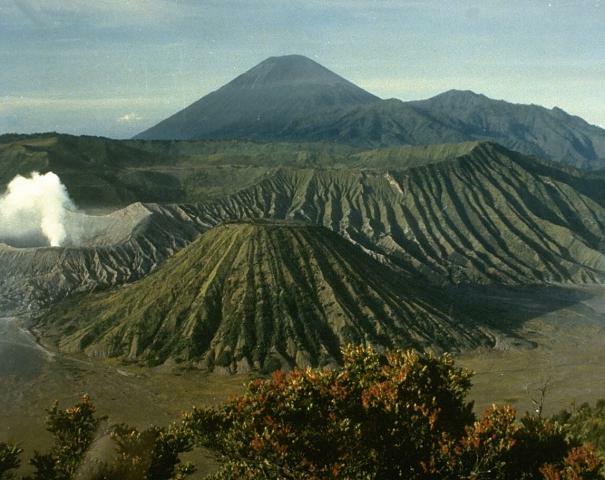 Seismicity increased on 1 October, and during 1-3 October a sulfur odor was occasionally noted at the Bromo Observation Post. On 3 October the Alert Level was raised to 2 (on a scale of 1-4). Based on information from JMA, the Tokyo VAAC reported that explosions from Sakura-jima's Showa Crater during 3-9 October produced plumes that rose to altitudes of 1.8-3 km (6,000-10,000 ft) a.s.l. and drifted W, SW, S, SE, and E. JMA reported that during 5-9 October explosions ejected tephra as far as 1.3 km from the crater. An explosion produced a small pyroclastic flow that traveled 300 m down the E side of Showa Crater. Based on analyses of satellite imagery, the Darwin VAAC reported that on 3 October an ash plume from Bagana rose to an altitude of 4.3 km (14,000 ft) a.s.l. and drifted 65 km NW. Based on analyses of satellite imagery, the Darwin Volcanic Ash Advisory Centre (VAAC) reported that during 6-7 October ash plumes from Batu Tara rose to an altitude of 2.4 km (8,000 ft) a.s.l. 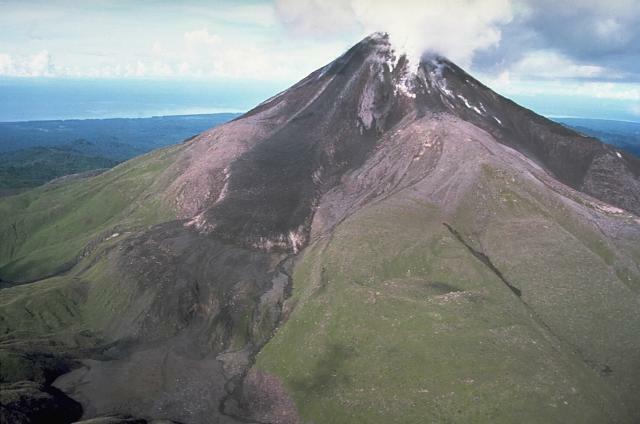 and drifted 45 km W.
INGEOMINAS reported that during 2-9 October cameras around Galeras recorded daily emissions that drifted NW and often contained ash. Earthquakes were at most M 2.2 and occurred within 15 km of the crater at depths of less than 10 km. An M 2.2 earthquake on 8 October was located at a depth of 8 km, 7 km NE of the crater. The Alert Level remained at III (Yellow; "changes in the behavior of volcanic activity"). KVERT reported moderate seismic activity from Karymsky during 28 September-5 October. 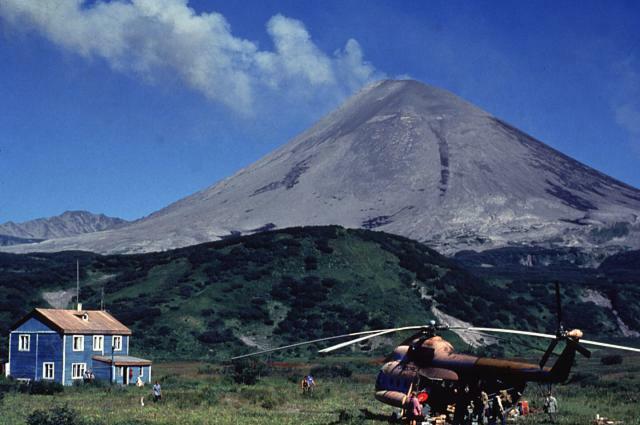 Seismic data indicated that possible ash plumes rose to an altitude of 4 km (13,100 ft) a.s.l. Satellite imagery showed a thermal anomaly on the volcano on 28 September and 2 October. The Aviation Color Code remained at Orange. Based on and information from the Kamchatka Branch of the Geophysical Service (KGBS), the Tokyo VAAC reported that on 6 October ash plumes rose to altitudes of 6.1-6.7 km (20,000-22,000 ft) a.s.l. and drifted SE. The plume altitudes were based on seismic data analyses. During 3-9 October HVO reported that the circulating lava lake periodically rose and fell in the deep pit within Kilauea's Halema'uma'u Crater. Periodic measurements indicated that the gas plume from the vent continued to deposit variable amounts of spatter and Pele's hair onto nearby areas. On 5 October geologists using a laser range-finder measured the high lava level at 52 m below the floor of Halema'uma'u Crater, which was a new maximum level. Lava flows reached the base of the pali in the Royal Gardens subdivision and flowed across the coastal plain, but were 1.6 km from the coast. At Pu'u 'O'o Crater, incandescence was visible from lava flows in the S pit, lava circulating in the E pit, and from the W edge of the crusted N pit. An opening in the roof of the lava tube at the base of the SE flank of Pu'u 'O'o also continued to glow until nearly the end of the reporting period. RVO reported that variable low-level activity continued to be detected at Manam's Southern Crater during 16-30 September. 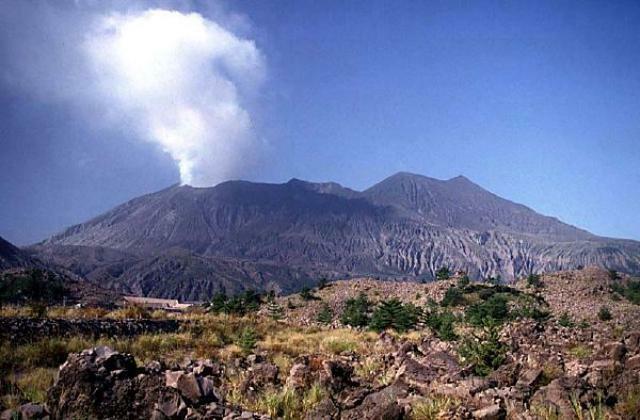 White and occasionally gray ash plumes rose from the crater during 16-24 September, and gray ash clouds were observed during 25-29 September. Only white plumes rose from the crater on 30 September. Ash clouds drifted NW, producing ashfall in the NW part of the island. 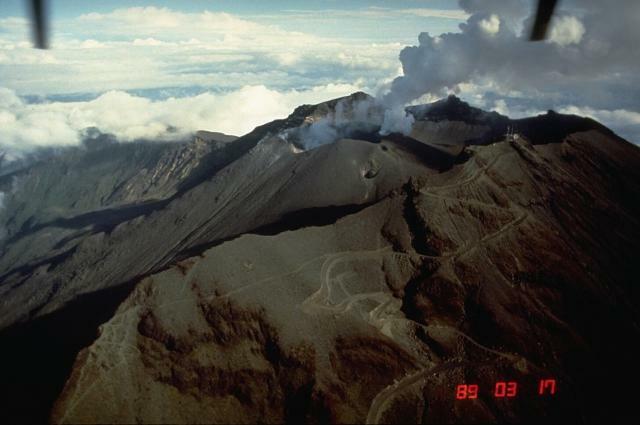 Two vents in the SE valley, just below the summit crater, produced small-volume lava flows, channeled into the deep ravines on the upper slopes of the SE valley. Glow from the crater was visible on most nights. 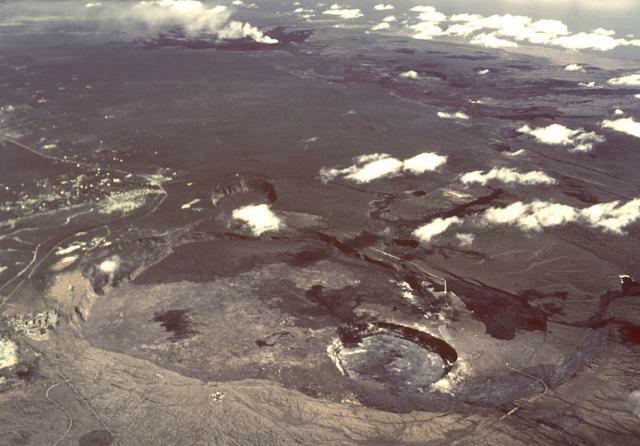 Incandescent lava fragments were ejected from the crater during 16-17, 19-20, and 24-28 September. The ejections were occasionally sub-continuous to fountaining. Roaring and rumbling noises were sometimes heard at the Bogia station on the mainland on 16, 21, and 26 September. 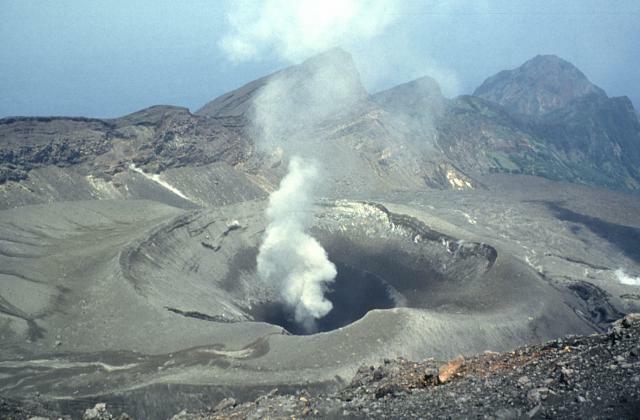 White vapor plumes rose from Main Crater during the reporting period. According to the Darwin VAAC a pilot reported an intermittent eruption with a diffuse ash plume on 8 October. During 8-9 October satellite imagery showed a thermal anomaly, and an ash plume that rose to an altitude of 3.4 km (11,000 ft) a.s.l. and drifted about 45 km ENE. Based on visual observations and analyses of satellite data, KVERT reported that during 28 September-5 October a viscous lava flow continued to effuse on the NW flank of Shiveluch's lava dome, accompanied by hot avalanches and fumarolic activity. 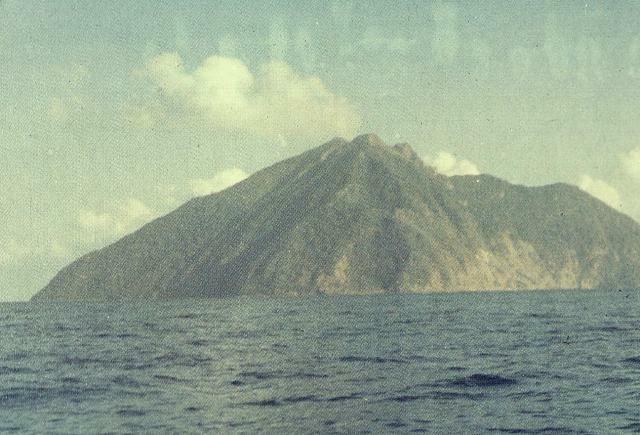 Satellite imagery showed a thermal anomaly on the lava dome on 28 September and during 1-3 October. Based on analyses of satellite imagery, notices from Yelizovo Airport (UHPP), and information from KVERT, the Tokyo VAAC reported that on 5 October ash plumes rose to an altitude of 2.1 km (7,000 ft) a.s.l. and drifted SE. 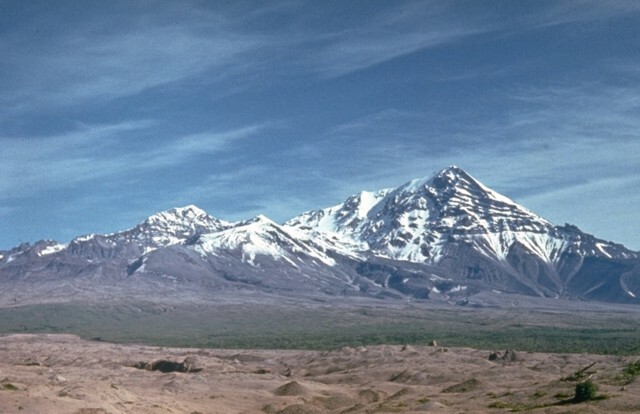 The next day ash plumes rose to an altitude of 7 km (23,000 ft) a.s.l and again drifted SE. The Aviation Color Code remained at Orange.